The special ceramic bottom also makes it possible for use on all types of heating surfaces and the cast iron transfers heat evenly and retains it well. 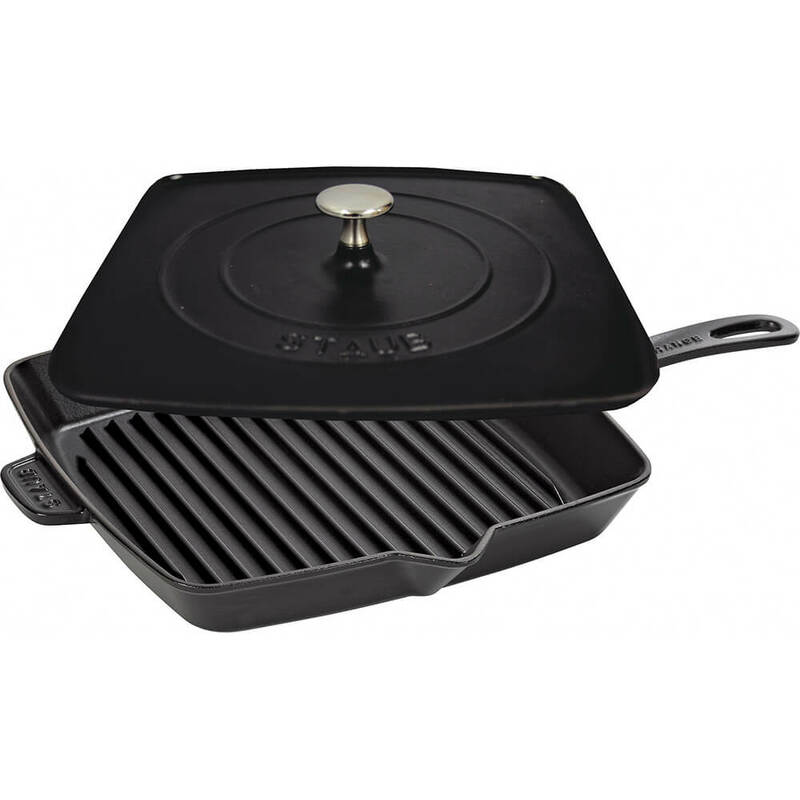 The lightest cast iron grills on the market, Staub's assorted grills are ready to cook right on your stovetop, infusing meals with the authentic flavor and appearance of outdoor grilling. 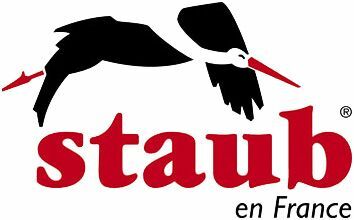 There are numerous factors which make Staub cookware unique in its design. To start, its black matte enamel coatings make it indestructible and highly chip resistant and also keep it from discoloring. The cast iron cookware retains the heat beautifully, keeping the dish warm long after it's been taken out of the oven or off the stove. It retains heat and distributes it evenly, making the food more consistent in texture and taste. The press weighs down food for even browning and searing - great for cooking sandwiches, steaks, burgers and chicken breasts. The special ceramic bottom also makes it possible for use on all types of heating surfaces and the cast iron transfers heat evenly and retains it well. In addition to having these technical merits, it's attractive appearance make it possible for the dish to go straight from the stove to the table. Made in France. Grill Press: 10.5" X 10.5" X 1.5". Cast Iron Grill: 20.3" X 14" X 1.9". Size:20.3" X 10.5" X 3.4"